More like a note to self than a real Keynote protip, because for some reason I never seem to remember this little trick when I need it. 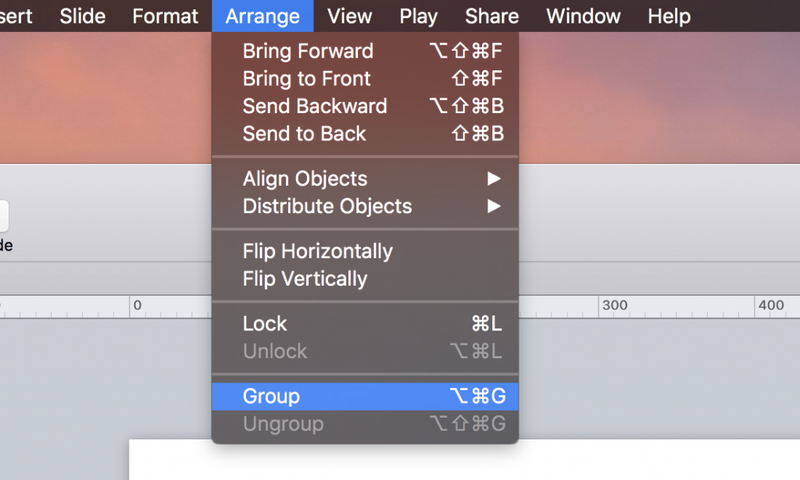 If you need to resize multiple objects in keynote, select them, then Arrange → Group. Once they’ve been grouped, you’ll be able to resize them with your mouse. Ungroup to get back to single objects. And I’ve been looking for resizing multiple objects with mouse like we do in Power Point. Is it possible in Keynote? Hi Franz! When I group everything, each piece loses its animation. Is there a way to resize multiple items without grouping them?